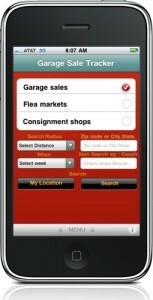 One of the best ways to find a good deal is to check garage/yard sales. 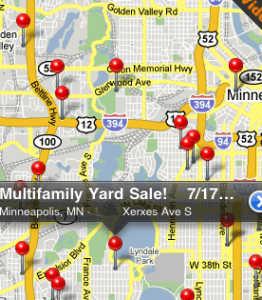 Not only can yard saling save you money, but it can also be fun. Even if you don’t buy anything, it’s often fun to simply look around. 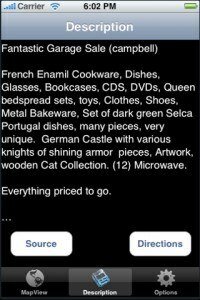 If you are looking for something specific, a garage sale might have just the thing — for much less than you would pay for something new. Thanks for sharing this great list of resources! These look like fun little apps. 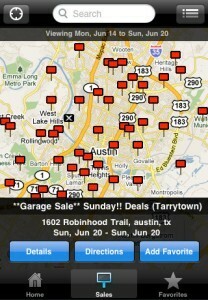 I never realized how many people register their garage sales online. We just put stuff out at the street with a “Make us an offer” sign attached to one of the bigger items. This is very, very useful. I think I’ll get iGarageSale downloaded today itself. And, it seems I will be able to find a garage quite easily. iGaragesale hasn’t worked in months and they won’t answer any customer complaints. Don’t buy until it’s fixed.